Marcia Christmas with wand. Attendants ?? Any thoughts? Figures in the back ground? Location? We have added two more pictures which we believe show your mother, Marcia Christmas, as the May Queen. 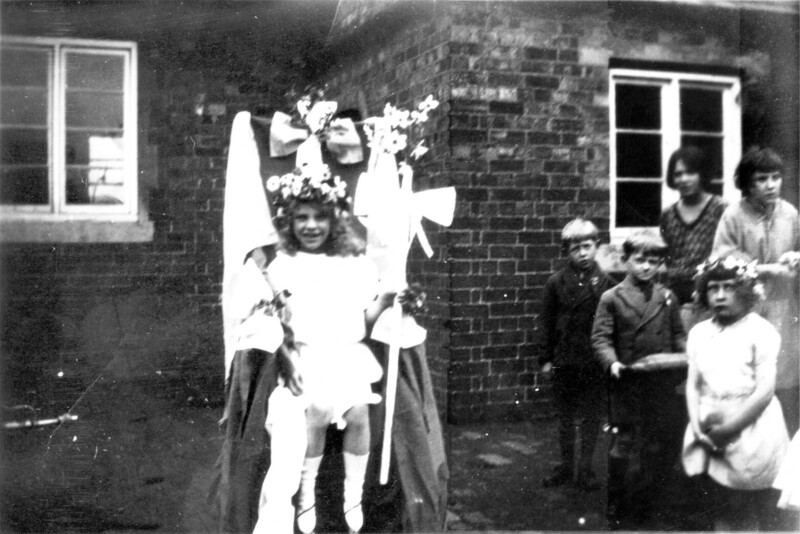 We think all these pictures were taken in the school yard. 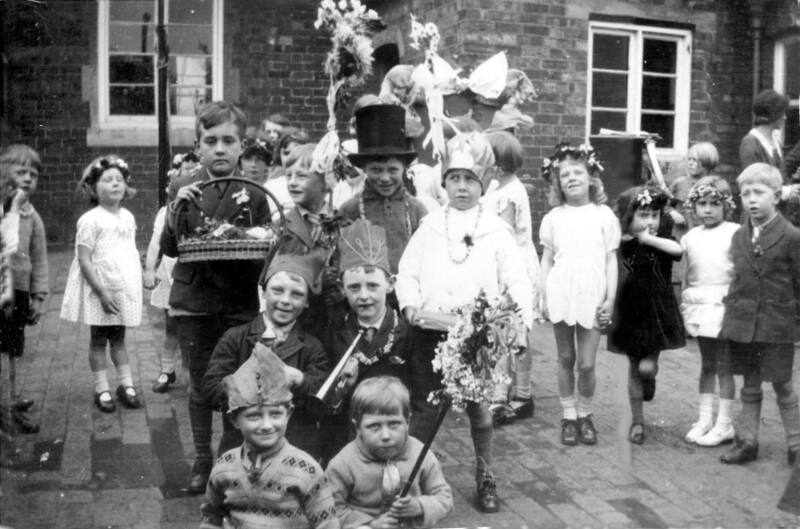 The school Log Book records May Day celebrations for all the years you mention, but unfortunately no names are included. This page was added on 09/01/2008. Thank you for these photographs! 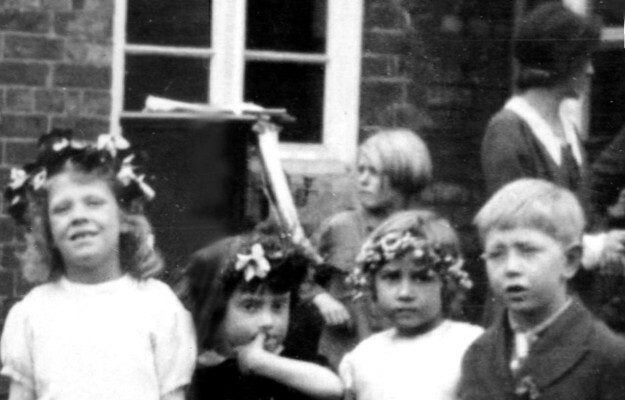 This site is a great resource for pooling our resources of both images and memories. We all mutually enrich our own personal archives by what we can share. From this wonderful site I have now accessed several images of my family that I have never seen before. Thanks again to both contributors to and initiators of this site. It looks to me as though the May Queen photgraphs in this sequence are actually of two different events, or possibly of May celebrations on two different years? 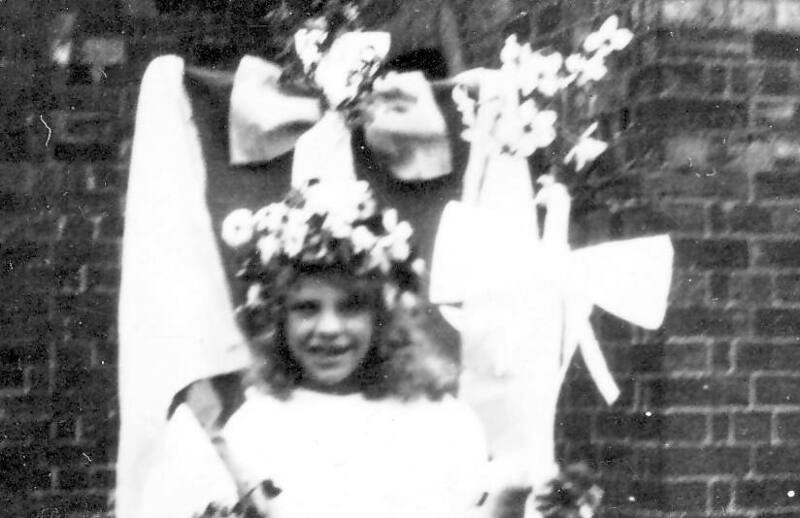 The floral crown and the shoes and dress on Marcia Christmas are not the same …..
I’m sure you are right. 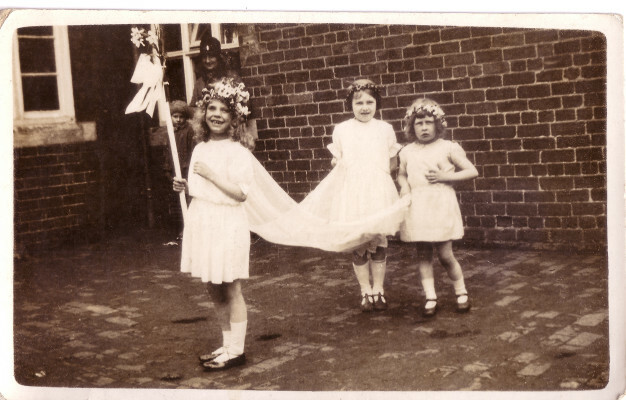 In your photograph and in Margaret Taylor’s, where your mother is actually the May Queen, she is wearing dancing pumps, whereas in Dorothy Beedham’s picture she is wearing lace-ups and the flowers in her hair are different. I wonder if Dorothy Beedham’s picture shows ‘Mother Goose’s May Party’ in 1934. I will ask her.